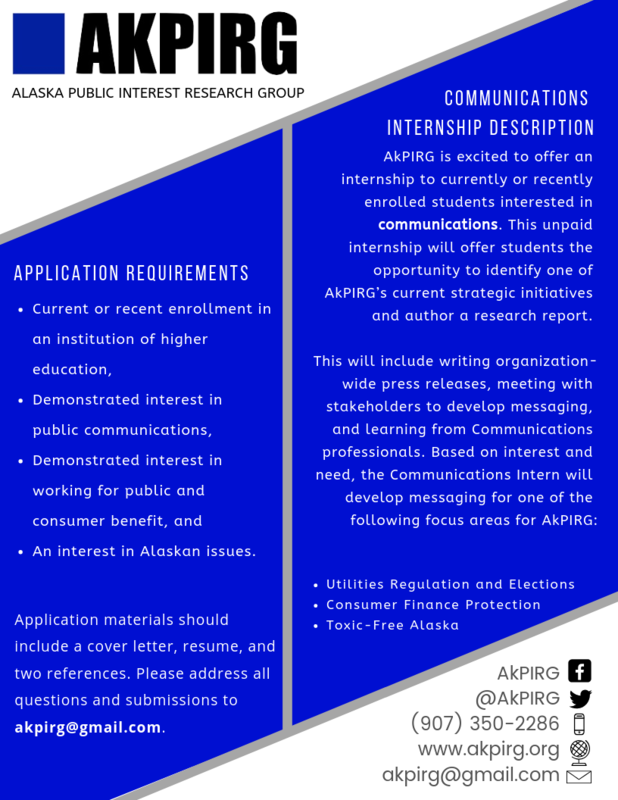 Thank you for your interest in joining AKPIRG's team! 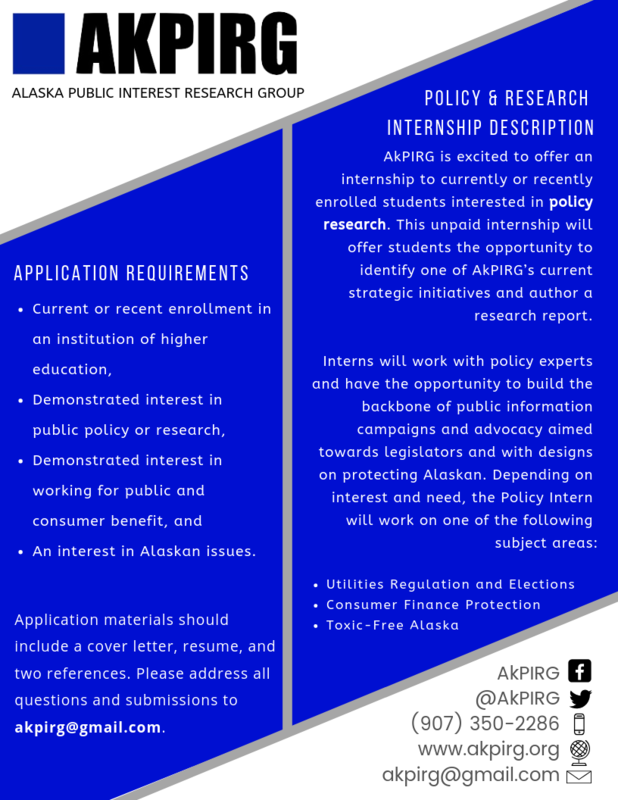 There are three open summer internship positions, listed below. 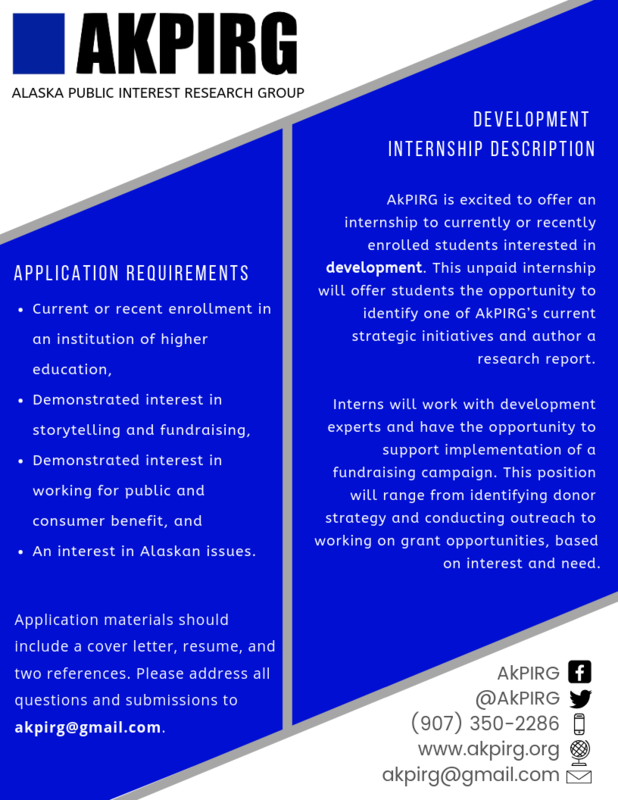 If you are interested in volunteering with our organization or have any questions, please email akpirg@gmail.com.